If they’re filming onsite the production company will want to look at the location in advance, or if there isn’t time or budget to do that, will ask you questions about the location such as the size of the rooms (at Nice Media we have a standard recce form). 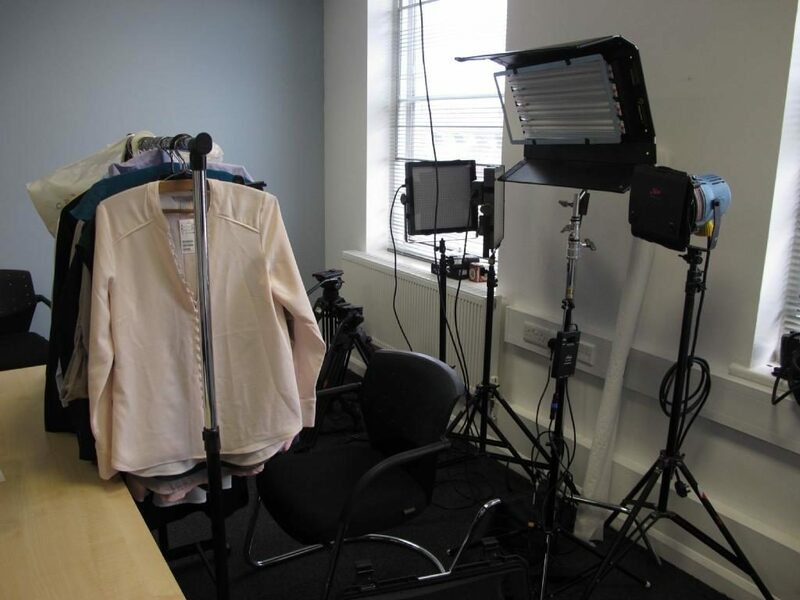 As a guide, large rooms in quiet parts of the building are generally best for filming, but the production company will be able to advise you about the best location on a site. It’s important to think about how much kit (and how big the kit is) that might be needed so that an adequate room can be allocated for storage and there’s access to get the kit in and off the premises. If there’s a building or facilities manager it would be a good idea to put them in touch with the production company to talk about factors such as access. If it’s a drama or presenter shoot, you’ll need a separate “green room” or space for the cast to sit in between takes too, so again it’s worth involving the building manager or those responsible for the location. The production company will send you a schedule (or “callsheet”) for the day and the contact details of all the personnel who will be attending the shoot. You might want to ask to see the callsheet in advance so you can input to it or get an idea whether you and other team members involved in the shoot need to be there all day. If the schedule includes general shots of your staff, you will need to make everyone aware so they can register any objections and they may need to sign release forms. (This is a complex issue, but your video producer will advise). What to wear is always something any interviewee asks about. The key is to be comfortable. The best clothes for camera are generally plain, block colours. Fine patterns or stripes can cause interference on the camera, and if you can, avoid black or white – they don’t look as good as mid-tones. Choose an outfit to reflect the work role you are representing. Dress for the part. And if you usually wear make-up, bring it along in case you need to do a touch-up. If you’re going to be interviewed, it’s best not to write down exactly what you want to say because it’ll be harder to get it perfect when you’re on video. Instead, you may want to jot down a few bullet points on what you want to say so you can improvise around them. The most important preparation anyone can do though is to really understand what they are talking about. Knowledge and passion about a subject can really come across on camera. If you are reading a script or using an autocue, read through the piece a few times beforehand so you are familiar with the subject, the context and the syntax. If you’re on top of the text your passion and personality can shine through. The morning of a shoot can feel a little busy – people arriving, equipment being carried in, the odd breakfast being gobbled… don’t be surprised if there is a lot of time between arrival and being ready to start filming. Setting up can take anything between one to three hours dependent on how complex the set is. Preparation might include moving the furniture out of the room, setting up props or putting up notices asking people to be quiet nearby. The shoot might involve multiple locations – even if cameras move across the same room or just next door time to re-set up needs to be factored in. It is important to be there or to have the client there to sign off on how the set looks and to make sure things such as branding in the room are correct. Once everything is set up, you’ll be asked to watch a monitor showing a feed from the camera(s) so you can see what is being filmed and can make sure you’re happy with how it’s looking. Remember, although the film crew can advise, you’re the expert on the content and how you want it to look. So if you’re not sure about anything or something is incorrect or inaccurate, (for example, a phrase being used), say so. As a rule, everything needs to be reviewed and signed off as it’s filmed to save an expensive day of re-shooting. A piece of content may be filmed several times from different angles, to give lots of options in the edit. If filming a drama the content may not be shot in script order (the order things happen in the story) but in the order in which it’s easiest to film. This enables the crew to avoid having to change the set-up of the equipment all the time. If it’s your turn to step in front of the camera the director or producer will talk you through what you need to do. Someone will give you a dusting of anti-shine make-up so the lights don’t make you look shiny. You’ll likely have a glass of water given to you, but if you don’t have one, ask – speaking on camera can make your mouth dry after a while. 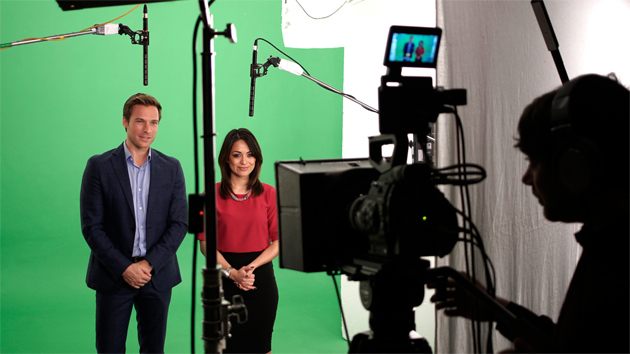 If there’s an auto-cue, the camera crew will do a test run to make sure you have time to get comfortable with the content, and that the text on the screen is big enough and moving at the right speed for you to read. A shoot day can be long, (usually ten hours including lunch), but it can be a lot of fun too – so enjoy yourself! How Much Drama Can You Shoot In A Day?